Who else is out riding in the cold? Found out the balance point of my sidecar rig today. Also found out that handlebars are tougher than my lower leg is. My knee scooter is already on loan! (11-28-2018 10:13 PM)Sleddog Wrote: My knee scooter is already on loan! I better slow down then.... only bruised so far. Well, I do have a fractured right elbow too, but that was from something else 3 weeks ago. And from something much dumber. I added ugly fenders to keep the slush off my gear. Tried two spots today and Rowan caught the only fish. Big one though! OMG - I remember in last July when she told Jack she was going to teach him how to fish the right way in 2019 so he could catch a fish like she did. You're creating a monster Kory, hehe. More ice, more shelter. 13" now. Weather was nice, went to the beach. Don't you people know you're supposed to hide inside all winter?? Somewhere back there is an 8100 acre lake. Visibility is about 40 feet on the lake, and about 100 feet in town. Expecting another 8-10" of snow tonight. So when is she going to show Jack how to ice fish?? (03-12-2019 07:32 AM)Cruzin Wrote: So when is she going to show Jack how to ice fish?? Did you see the video of her catching the bass? What the heck, I step away for a few days and we turn into a winter ice fishing club? Since your all so competitive, I'm wondering who caught the biggest fish this winter? 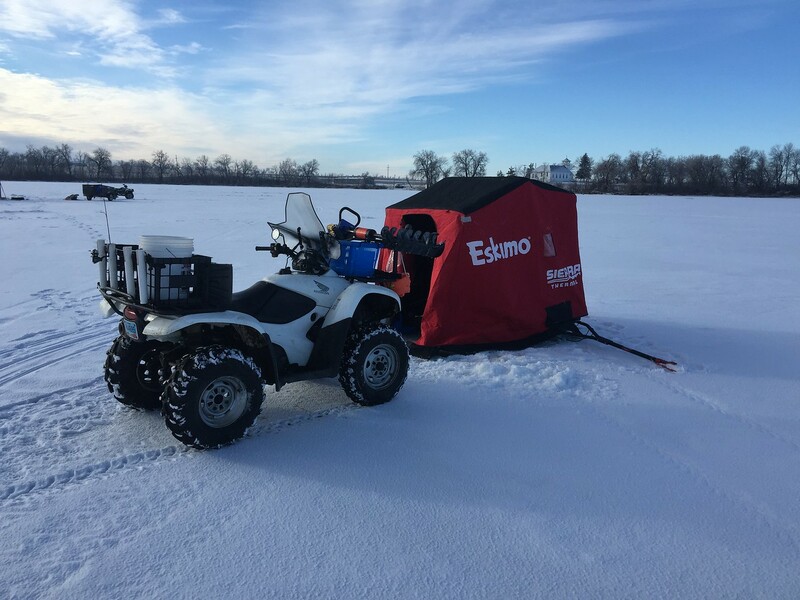 (03-13-2019 01:24 PM)Frump Wrote: What the heck, I step away for a few days and we turn into a winter ice fishing club? 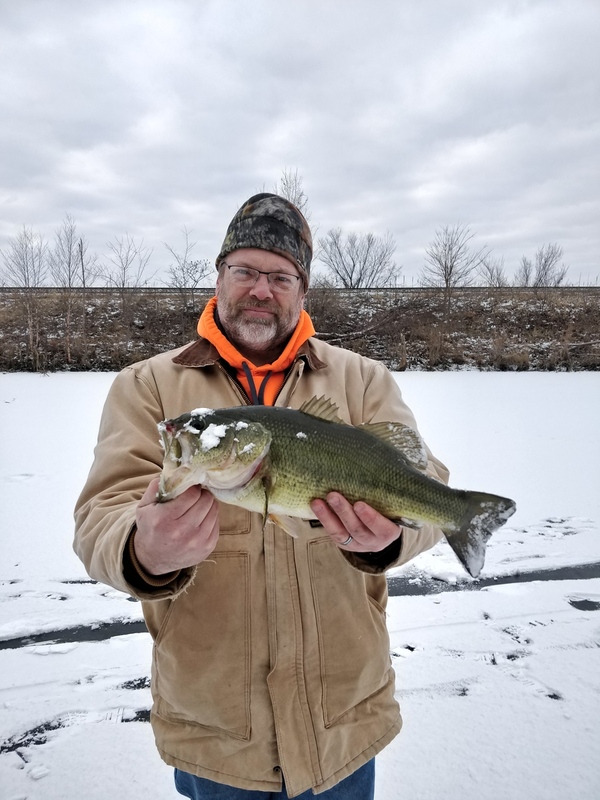 Since your all so competitive, I'm wondering who caught the biggest fish this winter?